Before Call of Duty gets its boots on the ground in November, developer New World Interactive are already fighting against the Fuhrer in WW2 shooter, Day of Infamy. Along with bringing five new units to the fight, the Aussie update adds a new weapon, a new map and more. Fight alongside the Greatest Generation in these PC WW2 games. Coming from the 2/17th Battalion and the 2nd Australian Imperial Force, the two Australian soldiers are equipped with the Owen Gun. An Australian-made submachine gun, this new weapon is available to all Commonwealth Assault or Officer units on any maps that feature the Aussies. Hailing from the Royal Highland Regiment, the Scottish soldier proudly represents the Black Watch and is available on all maps. Acting as the American representative in this update, New World Interactive have added a soldier from the 761st Tank Battalion, who were more commonly known as the Black Panthers. One of the many segregated units in the US Army, this unit earned 11 Silver Stars and one Medal of Honour during its tour of duty. This update also introduces another German soldier, with members of the fierce 272nd Volks-Grenadier division now playable when on the Axis side. This update features the new Rhineland map as well, along with finally adding weapon skin unlocks to Day of Infamy. There is also a host of new Steam achievements for melee weapon mastery and the ranking system has received a substantial upgrade. Along with more high-level ranks, Day of Infamy now has a Tour feature similar to Call of Duty’s Prestiges, where players can reset their rank once they reach the highest one. Unlike Prestiges though, going on a new Tour does not reset your previously unlocked units or achievements. For all the details in this new patch, check out Day of Infamy’s official patch notes. 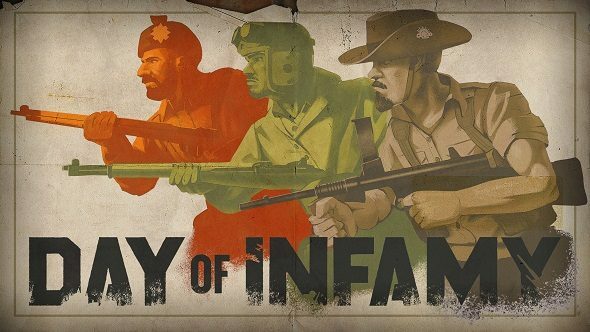 If you’re looking to join the fight, Day of Infamy is currently 25% off on Steam, going for $14.99/£11.24 until June 1.